Soldiers may now qualify for more help with family members’ dental expenses, medical equipment and device costs, and with foreign-born spouses’ passport and immigration fees ― three examples of six expansions in financial help available through Army Emergency Relief. The changes, approved by Army Emergency Relief’s board of managers, were effective Jan. 1. They were based on feedback from soldiers, spouses, leaders, installation AER officers and others, said AER chief of assistance Charles Durr, a retired Army command sergeant major. Durr said he and AER director retired Army Lt. Gen. Raymond Mason visited more than 30 installations in 2018 to listen to issues. AER helps active-duty and retired soldiers, their family members and survivors with emergency financial needs. Those eligible can apply for many categories of financial assistance ranging from help with buying food, paying rent or mortgage and utilities, to natural disaster relief, to emergency travel expenses. Each request for assistance is assessed on its own merit, based on financial needs, following the guidelines for each category. Grants of up to $250 for child car seats. “We thought this would be a good incentive to help soldiers ensure that their dependents are safe and they have a quality car seat in the vehicle,” Durr said. He noted that leaders said they found that during safety stand-down inspections they would often see soldiers with unsuitable car seats. “So we encourage them from a safety perspective to come in to AER and ask for assistance to keep these minor children safe, we opened it up as a grant-only category of assistance.” Previously the guidance was that loans and/or grants could be used. Full grants for cranial helmets for children when there’s cosmetic necessity and it’s not covered by Tricare. These helmets help shape the head of a child who is born with a misshapen skull. Tricare covers these helmets when there’s a medical necessity, but not when there’s a cosmetic necessity. 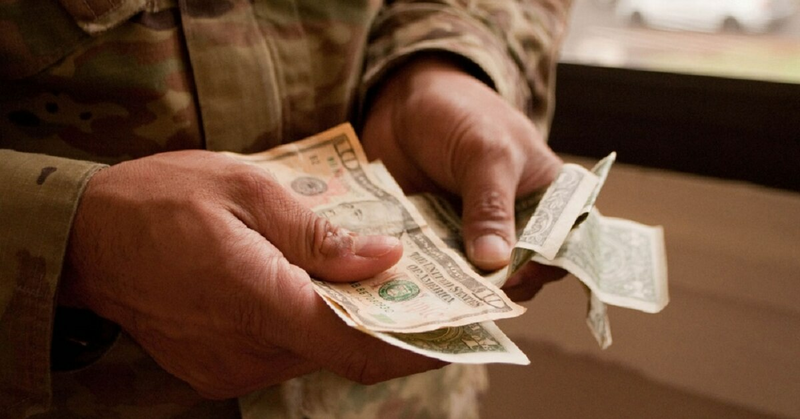 Grants may also be provided for the soldier’s portion of any co-pays and cost shares when there’s a medical necessity, and all costs are not fully covered by Tricare. Many spouses have said they wanted the helmets to help their children cosmetically, even if they weren’t deemed medically necessary, Durr said. The cosmetic necessity still must be verified by a medical professional. The helmets range around $2,000 to $3,000. Up to $4,000 in assistance in grants for each issue related to needed equipment and devices for family members, soldiers and retirees with special needs. This category would help cover the costs of things not completely covered by Tricare and the Department of Veterans Affairs or other insurance ― like specialized strollers, specialized wheelchairs, bathroom safety equipment, specialized shoes, specialized beds, portable wheelchair ramps, and any assistive technology devices such as communicative devices, hearing aids, specialized computer software. Grants for passport and immigration fees for foreign-born spouses. This is primarily for soldiers who are stationed outside the U.S., have married a citizen of another country, and want to bring their spouse to the U.S. when they are moving back to the U.S. Many soldiers said this was causing a financial hardship because they wouldn’t have the money to apply right away for their new spouse’s passport and other requirements for immigration, Durr said. So the soldier would return to the U.S. after being reassigned on military permanent change of station orders, having to leave the spouse behind, and maintain two households while trying to work through the immigration process. There are also some situations where the soldier is living in the U.S., engaged to someone overseas, and marries and wants to bring the new spouse to the U.S.